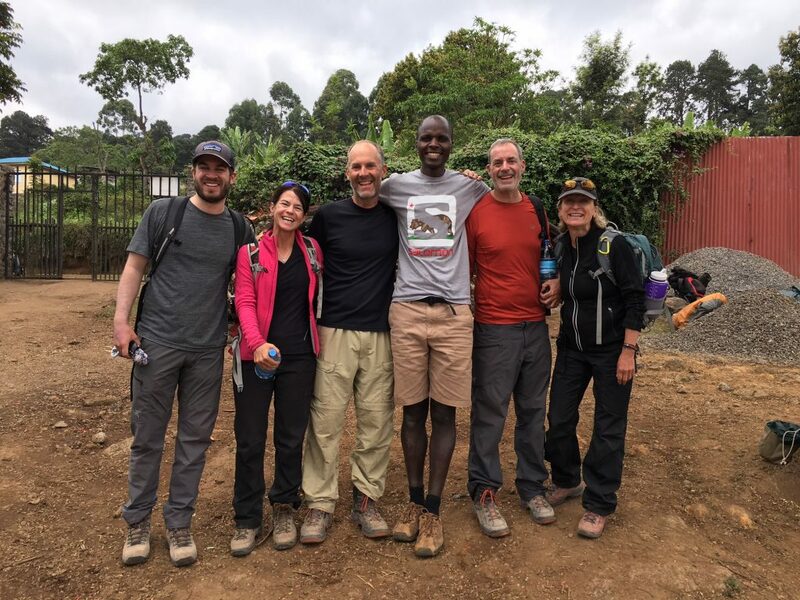 In 2018 Summit Expeditions & Nomadic Experience celebrates 20 years of sharing Tanzania with guests from across the globe. Here are a few fun facts and highlights from over the years. In January founder Simon Mtuy registers SENE in Tanzania. He is the only employee. 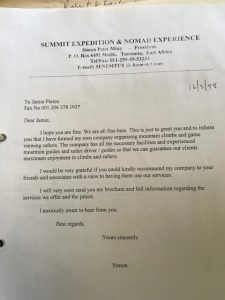 First clients are climbers from Germany and the primary form of communication is fax (giving SENE an astronomical phone bill that first year). The first cottage at Mbahe is built (2-bedroom white house that still stands next to the dining area). Simon hires his first employee, puts online the first SENE website, and purchases his first vehicle – a Toyota Land Cruiser (“which we still have and runs nicely!”). The distinctive SENE logo of the rhino wearing the boot makes its first appearance. Incomparable chef Kiplet (right) begins preparing his mountain feasts for SENE. Gerald starts guiding SENE safaris. Cycling begins with the purchase of SENE’s first bicycles. SENE moves into its current office space just above Shantytown and hires its first international employee (Tim) who opens the SENE-US office. 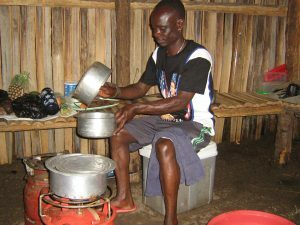 New Mbahe cottages are built with repurposed materials and solar water heaters. First Kilimanjaro Stage Run. Nathalie opens the SENE-Euro office in France. SENE introduces a new eco-adventure: multi-day walks on the lower slopes of Kilimanjaro. SENE welcomes more than 290 guests to Tanzania (largest number ever). The 20thanniversary of SENE brings the magic of Tanzania to even more adventurers!